At the National Brain Aneurysm & Tumor Center, our neurosurgeons Eric Nussbaum, MD, and Leslie Nussbaum, MD, PhD, are highly subspecialized and dedicated to treating and caring for patients with complex problems including brain aneurysms, vascular malformations, carotid artery narrowing, and complicated brain and skull base tumors. Instead of trying to do everything in the specialty of neurosurgery, we focus exclusively on these complex problems. We treat a high volume of cases and, as a result, we offer outcomes that rival the best centers in the world. Our approach and results have garnered recognition from top centers throughout the United States and internationally. Complex cases are referred to us on a regular basis for consideration, particularly those that have failed treatment or been turned down for treatment elsewhere. We have cared for patients from all regions of the United States and from countries across the globe. Eric S. Nussbaum, MD, is a national expert in the diagnosis and treatment of brain aneurysms and vascular malformations. He is among a small group of surgeons worldwide who specialize in microsurgery for brain aneurysms. 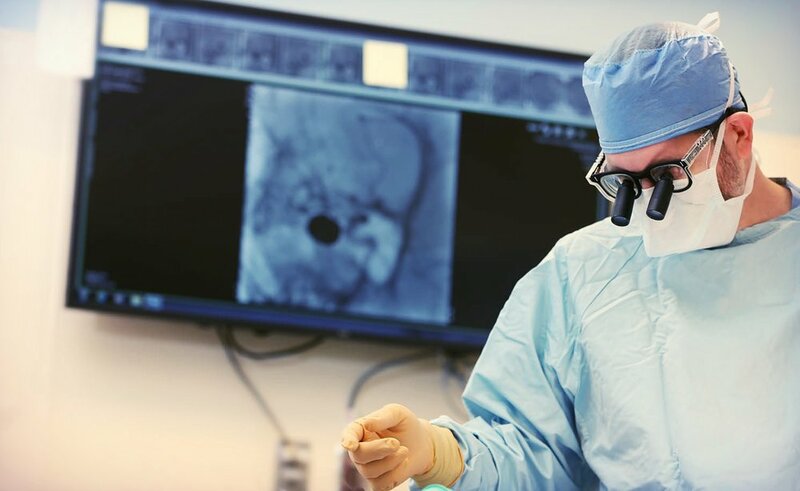 He has performed more than 2,000 complex surgeries to treat brain aneurysms, more than 1,000 operations for skull base tumors and more than 400 brain bypass surgeries. Leslie A. Nussbaum, MD, PhD, is the only neurosurgeon in the Twin Cities with a dedicated subspecialty of radiosurgery. Her practice focuses on Cyberknife stereotactic radiosurgery for complex brain and spinal disorders, including benign and malignant brain tumors, metastatic tumors and vascular malformations. She has received multiple coveted awards for brain tumor research at the national level.